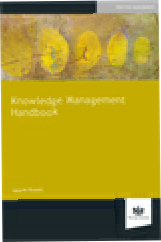 The book also contains case studies, flowcharts, diagrams and interviews with leading knowledge management practitioners. 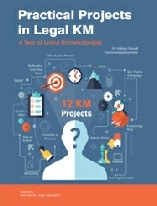 Practical Projects bridges the gap between theory and practice and gives you 12 low-cost, easy to implement projects designed specifically with law firms in mind, to help you to improve the knowledge flow within your organisation. It includes templates, checklists, precedents and charts so you can hit the ground running.